As Woo Myung states, "I pondered and pondered on the way Truth could be taught for people to understand it as easily as possible." This passion is what has led him to write books about Truth, with more than 10 published to date in various languages. 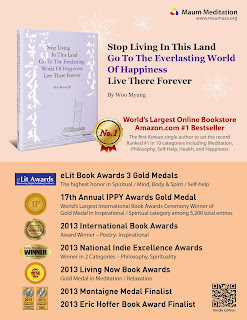 In May of 2013, Woo Myung was awarded with a gold medal for the Inspirational/Spiritual category for "Stop Living In This Land, Go To The Everlasting World Of Happiness, Live There Forever" at the 17th Annual IPPY Awards in New York City. Cham Books was on hand to receive the gold medal on behalf of Woo Myung, who has been on a world lecture tour since the beginning of the year. The IPPY Awards is one of the largest book awards with this year’s entries topping at 5,200 total entries. The 2013 National Indie Excellence Awards also named Woo Myung as the winner for his book in the categories of Philosophy and Spirituality. The 2013 International Book Awards named Woo Myung as the Award Winner for Poetry: Inspirational while the newly created eLit Awards, which honors written works in digital format, awarded three gold medals in the following categories of Spiritual / Mind, Body & Spirit / Self-help. 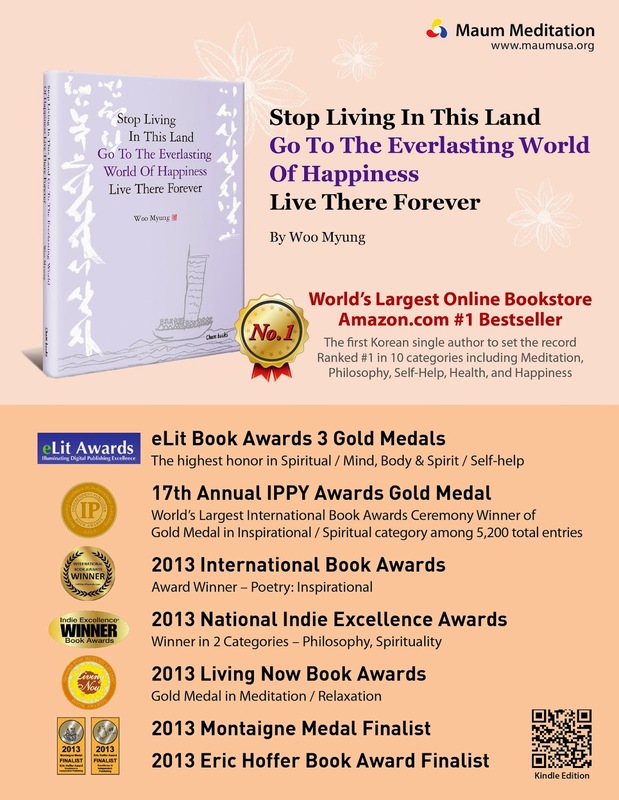 Most recently, the 2013 Living Now Book Awards honored Woo Myung with a gold medal in Meditation / Relaxation. The Living Now Awards celebrates the books and their authors who contribute to a healthier, more fulfilling productive lifestyle. A noteworthy recognition was also given to author Woo Myung by naming him as a Finalist for the 2013 Eric Hoffer Book Award as well as the 2013 Montaigne Medal. Eric Hoffer was an American moral and social philosopher who authored 10 books and was also the recipient of the Presidential Medal of Freedom. The Montaigne Medal is named after Michel Eyquem de Montaigne, who was one of the most influential writers of the French Renaissance during the 1500s. Cham Books is a US-based publisher that publishes books of wisdom which can be applied to daily living. Its primary author Woo Myung is already well known in his native South Korea and throughout Asia. His works are bestsellers in Korea and are now being published in English and other languages. Woo Myung is the founder of Maum Meditation, which operates more than 340 centers worldwide. Woo Myung is also a world renowned lecturer and Amazon Bestselling Author.